Advanced Micro Devices has shipped about 5 million of its power-efficient Fusion processors since their introduction in Q4 2010. In fact, the company sold out of the Fusion processor in its most recent fiscal quarter, in which it sold somewhere between 3.5 million and 4 million units. "Demand far exceeded supply," Raymond Dumbeck, product marketing manager for AMD's mobile products, told CNET. This number will increase when AMD discloses more numbers at the end of the current quarter. 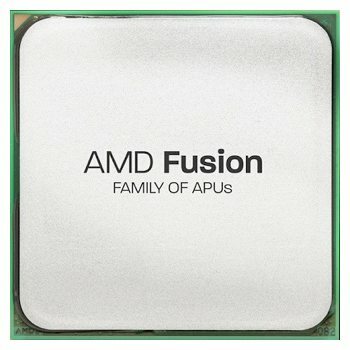 AMD hopes that Fusion will dent Intel's Atom shipments, and this may actually come to pass since Fusion is selling more than half the average number of Atom processors per quarter. Manufacturers like Hewlett-Packard, Lenovo, and Sony are creating new 11.6-inch laptops designed around Fusion that they are selling as small laptops, as opposed to netbooks. In this way, they can market the devices as smaller, and thus more portable, than typical laptops, without making them appear to have lower performance, as netbooks tend to. Last month, AMD revealed that its upcoming A75 and A70M FCH Fusion chipsets will have an integrated USB 3.0 controller. System builders have already had access to those chips for a while. This was only a little after we learned of Intel's plans to include USB 3.0 support in its 7-Series Panther Point chipset, due sometime during the first half of 2012 alongside its 22nm Ivy Bridge processors. Correction: In an earlier version of this post it was wrongfully stated that the Fusion CPUs tend to underperform against Intel's Atom. The opposite is usually the case as covered in our early look to the AMD Zacate/Fusion processor last February. See the full review here.